IILM Institute for Higher Education is Private Institute located in New Delhi and was established in the year 1993. The Institute is approved by All India Council of Technical Education (AICTE). 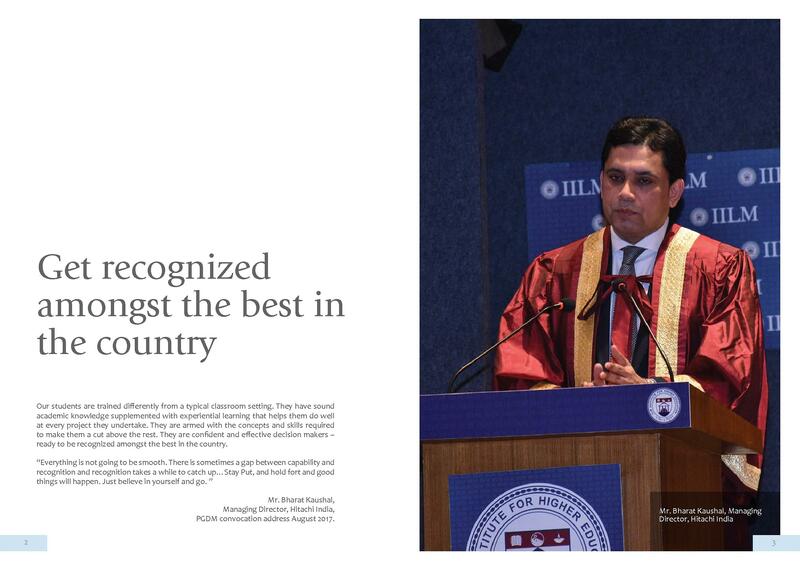 Courses offered by the Institute are PGDM and Executive PGDM. Admission to these courses will be done on the basis of CAT/ MAT/ XAT/ GMAT/ CMAT/ ATMA Entrance Exam score. 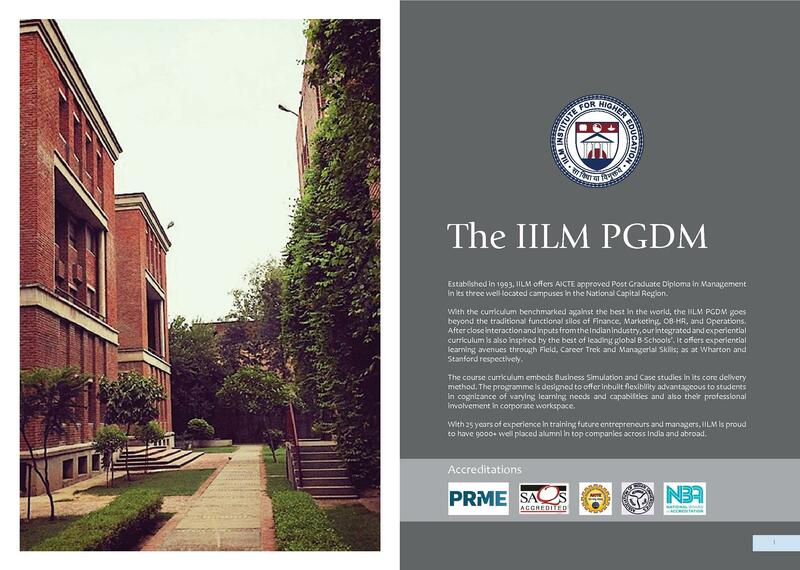 IILM offers PGDM and Executive PGDM programs at the Postgraduate level. Candidates applying for these courses must hold Bachelor’s degree with minimum 50% marks from a recognized Institute/ University. Final selection to PGDM program will be on the basis of scores obtained in CAT/ MAT/ XAT/ GMAT/ CMAT/ ATMA Entrance Exam score followed by Group Discussion and Personal Interview. Whereas, for Executive PGDM Program, candidate must have 5 years of managerial/ supervisory work experience. 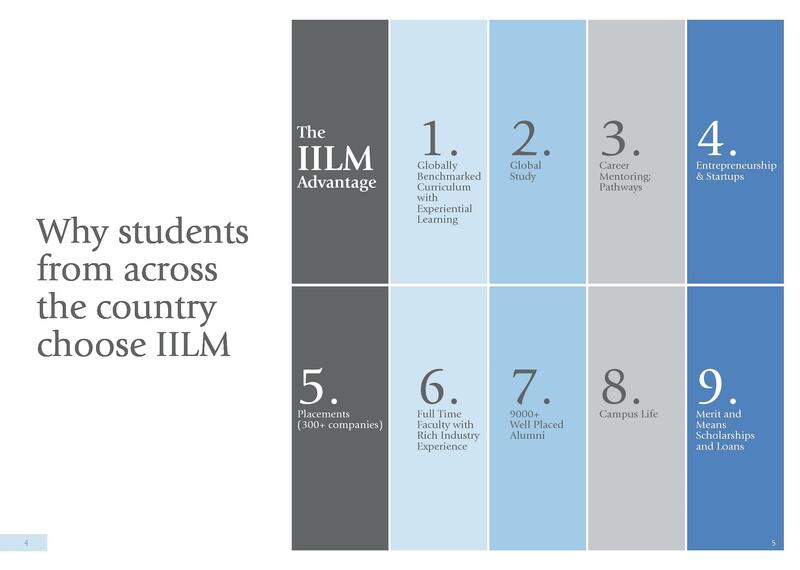 IILM Institute for Higher Education offers Placements opportunities to candidates through their Placement Cell, a working body which counsels and provides training to the job aspirants before appearing for an interview. 10% of tuition fees for girl students. The children of Defence Personnel. Candidate with a MAT score of more than 700 percentile. Note: Candidate should fulfill all three criteria’s to be eligible for this scholarship. Candidate with a MAT score of more than 720 percentile. Candidate whose annual family income is less than 3 lakh. 75% of tuition fees for candidates with CAT score of 90 and above. 40% of tuition fees for candidates with CAT score of 80 – 90. 75% of tuition fees for candidates with CAT score of 70 – 80. They all are very helpful and very nice people during the course time i was suffered from join dis they have helped me and they have given the next year to complete the education. Good facts faculty believes in the real example not the copy paste from the books in campus placement bad fatcs hostel facilty is not their cafteria is small. 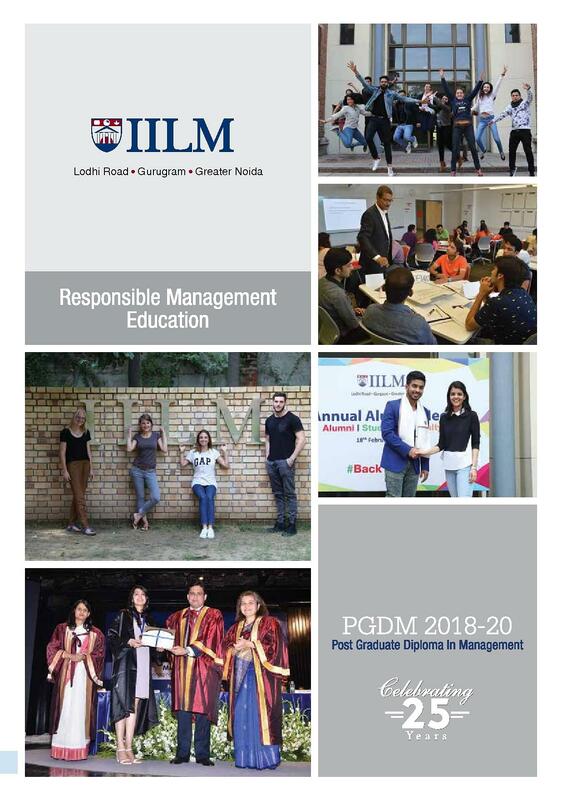 I had given entrance exam of "MAT" in which i scored 70 percentile i always wanted to take admission near by delhi ncr and IILM institute is one of the reputed college in delhi thats the reason i choose to go for pgdm from this college.